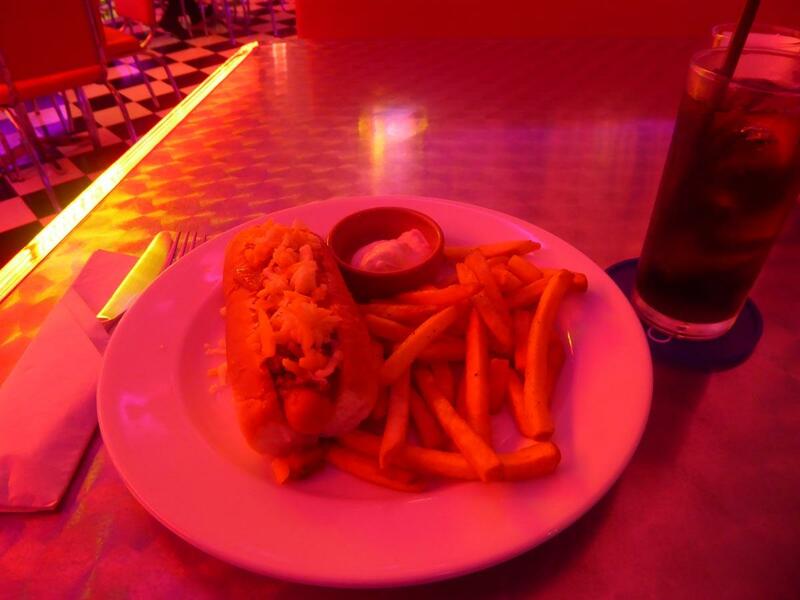 The V8 diner is located next to Insanity nightclub and makes a good pre or post club dining spot. 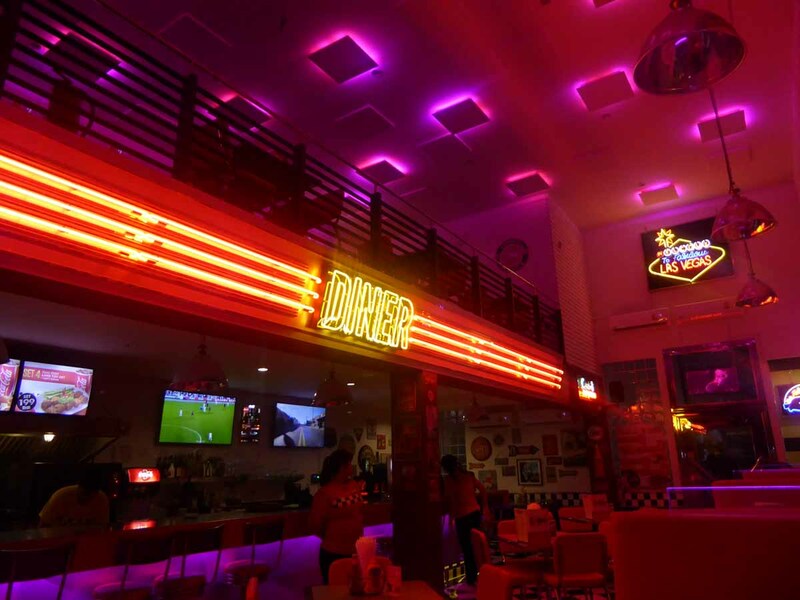 The menu is American diner food with the addition of some Thai dishes. Dining here gets free or reduced price admission to Insanity. All night live sport on TV. Location: 32/2 Sukhumvit Soi 11, Bangkok. Margarita Storm is owned by the Sunrise Tacos Mexican restaurant chain. It serves Sunrise’s Mexican menu as well as a separate International food menu. Location: Sukhumvit Soi 13, Sukhumvit Road, Bangkok. Sunrise Tacos serve excellent Mexican food in a fast food setting. This branch is conveniently located at the mouth of Silom Soi 4 if you’re out late in the Silom area. Location: Silom Soi 4, Silom Road, Bangkok. 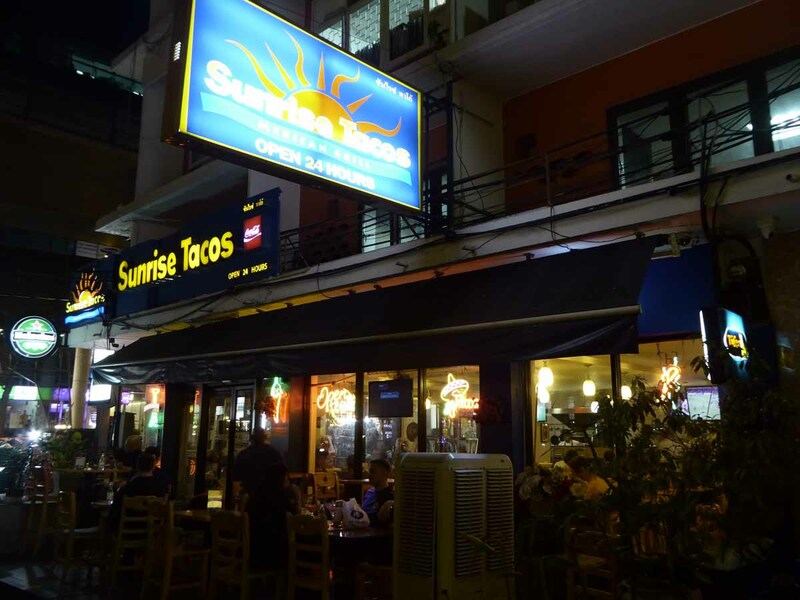 Sunrise Tacos also shares a 24-hour location with Subway at Sukhumvit Soi 7/1. The location houses both Subway and Sunrise Tacos. Location: Sukhumvit Soi 7/1, Sukhumvit Road, Bangkok. 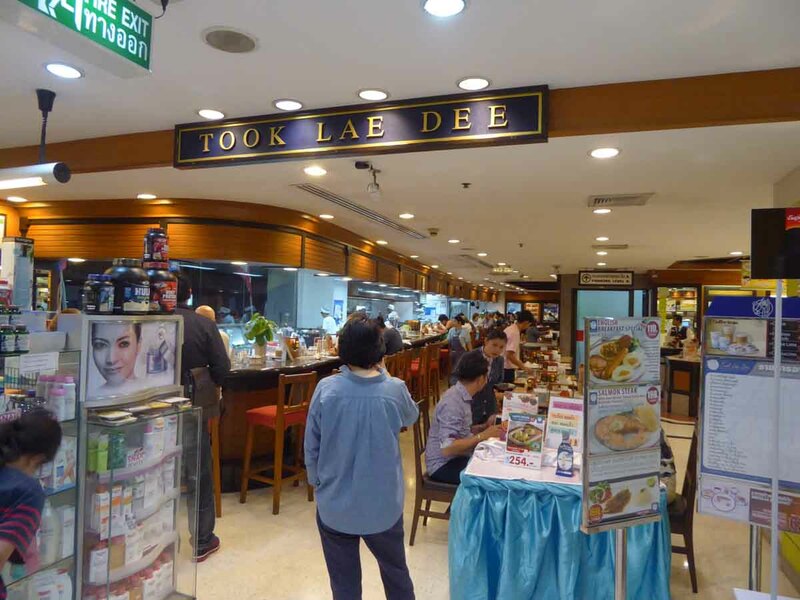 Took Lae Dee is an American style diner within branches of the Foodland supermarket chain. 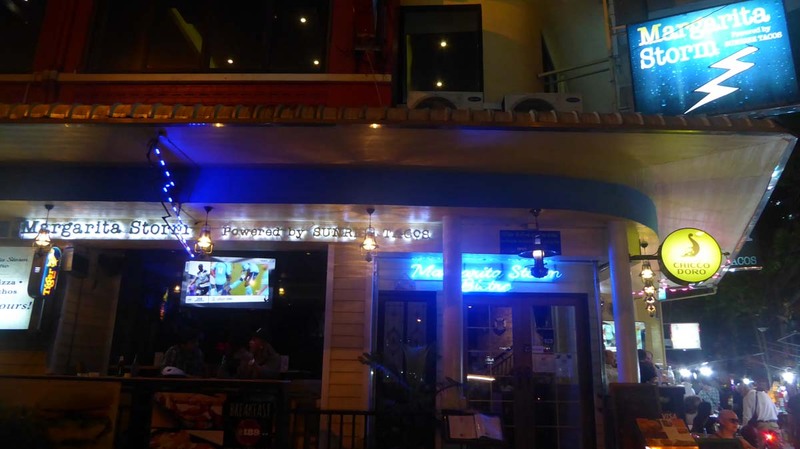 The menu is International with a mixture of American, European and Thai dishes. Prices are reasonable. 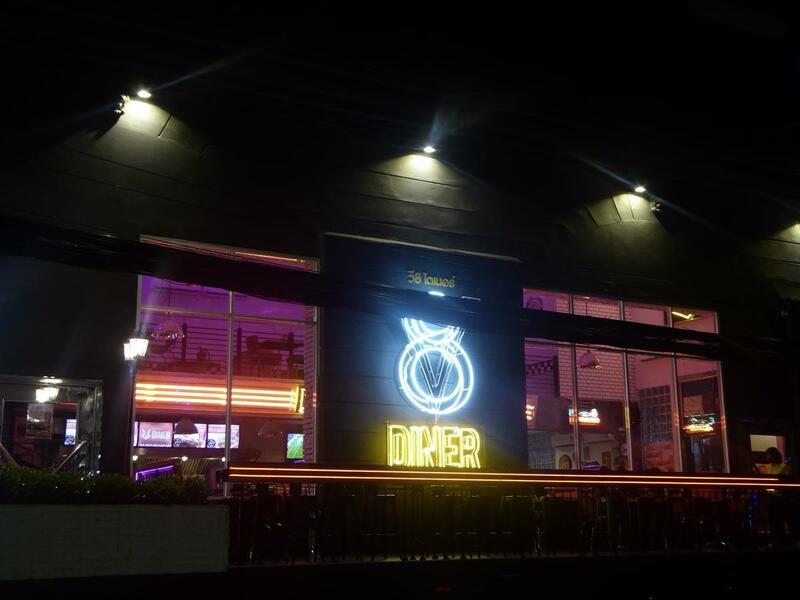 Locations: Sukhumvit Soi 5 (Nana), Sukhumvit Soi 16 (Asoke), Patpong Soi 2 (Silom Road). Bangkok. 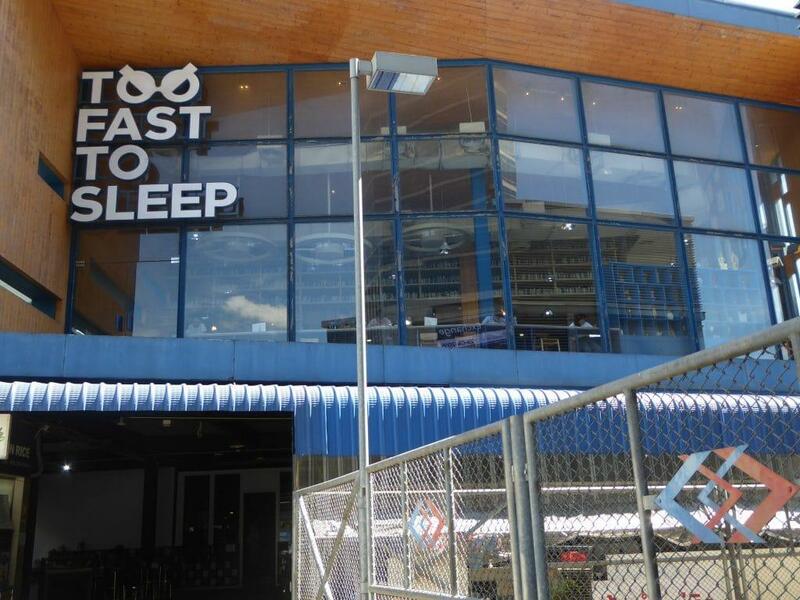 Too fast to sleep is a co-working space for studying and working. It’s open 24 hours and has a coffee shop that serves drinks and a simple food menu. The cafe is on the ground floor with the working space on the first floor. There is a range of seating from floor cushions to both small and big tables, high counter stools and armchairs. There is floor to ceiling windows giving plenty of natural light. 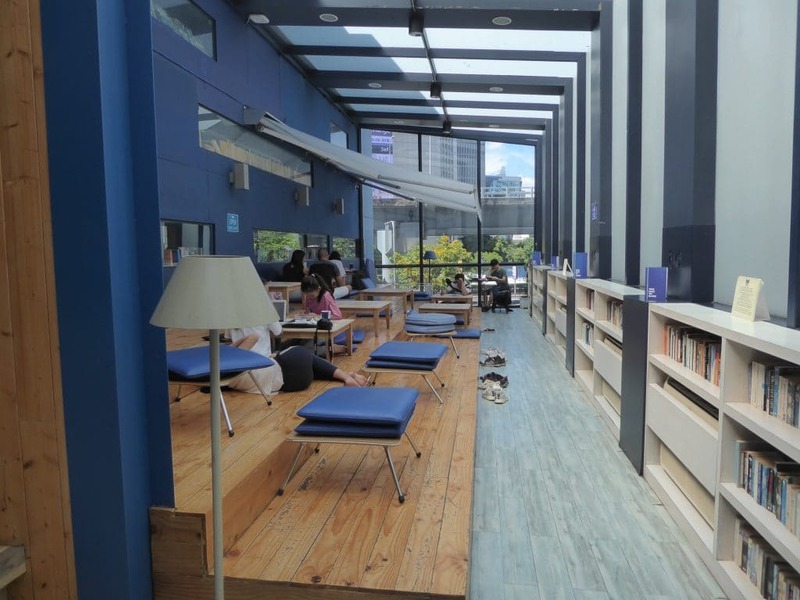 Also, there is a small library and plenty of sockets to plug in your notebook or phone. The clientele is mostly university students, especially during the daytime when it can be crowded. At night it is quieter and more peaceful. 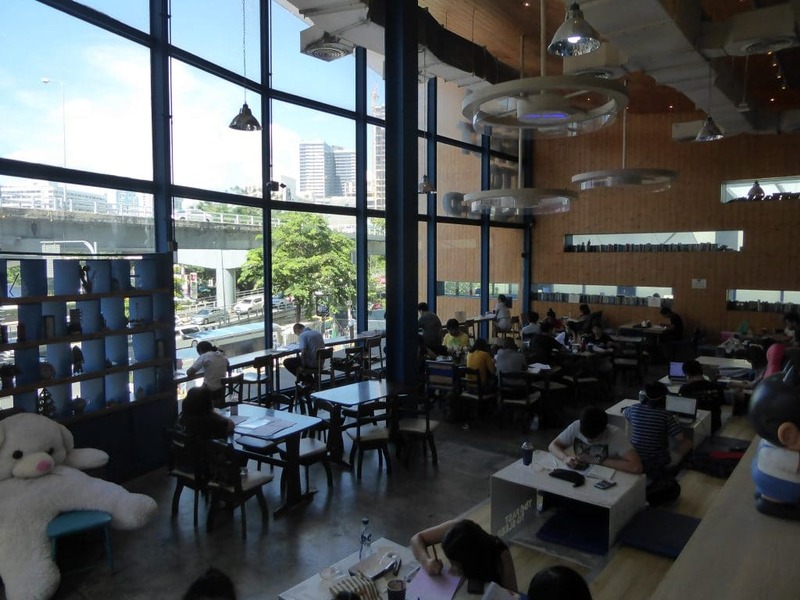 You will get 3 hours of high-speed internet access if you spend 50 baht at the coffee shop. The price of food and drink is slightly more expensive than in a normal cafe and the food menu is not available 24 hours. 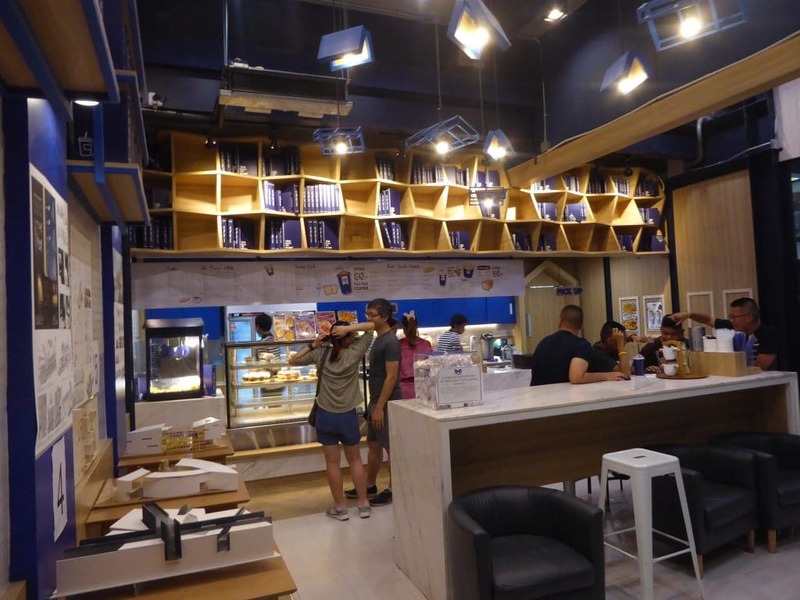 The food on offer includes toast with various toppings, pizza, pasta, salads, fried rice, cakes and a selection of Thai dishes with prices ranging from 60 to 150 baht. A coffee is 80 baht. They do not sell alcohol. The location is conveniently next to Sam Yan MRT station. Location: Samyan Center, Rama 4 Road, Bangkok.